We may be bias but we truly believe that the Fijian Touch Cup is a unique and special event. For a huge number of reasons the Fijian Touch Cup is one of the best recreational sports tournaments in the Pacific, if not THE best. We won’t bore you with the hundreds of reasons why but perhaps these five reasons why the Fijian Touch Cup is the best competition in the Pacific may just convince you to join us in sporting paradise. In order to ensure not only the highest standards of safety and refereeing but to create a world class stage for you to perform upon we have teamed up with the Federation of International Touch, Touch NZ and the Touch Federation of Fiji. No other touch competition in the Pacific works with three sport governing bodies. In collaborating with the games makers we can bring in top notch coaching, awesome match officials and get you on the radar of the sport’s governing body. We’ve also teamed up with Fiji Airways to give you the best possible deal on flights, you won’t get this value for money anywhere else! This ones not so much related to the sport but plays a bit part in the Fijian Touch Cup as an event. We have teamed up with the Sheraton Fiji and we take over the resort! For four days the place is ours, and in turn yours too. You have access to their classy fine dining restaurant, their poolside cocktail bar and unlimited snorkeling, kayaking and paddleboarding in the afternoons. No other recreational sports festival in the Pacific includes 5* accommodation in the competition entry package cost. We know you all want to be in it to win it and what a win it is! Our Fijian Touch Cup prizes amount to more than $50,000 FJD! Winning teams from the mens, womens and mixed tournament will each win 10 packages for next year’s Fijian Touch Cup including flights, accommodation and competition entry. On top of this winners are also awarded with a cash cheque for $5,000 FJD and a $1,000 FJD bar tab! There’s also a $500 cash cheque for the most valuable player of the tournament, so bring your A-game! This is what makes the Fijian Touch Cup so special and therefore the best. In the run up to the festival we fly over to Fiji a selection of Touch NZ’s best coaches and refereeing to run rugby clinics for the local teams. This elite coaching opportunity is a vital chance for local players to realise and unlock their potential. We also allow local Fijian teams free entry into the competition and offer you the chance to make up your team’s numbers to the full 16 by adopting a keen and super skilled set of Fijians into your group. Just email us at team@tourismhq.com for more info on this. We have big plans for the Fijian Touch Cup to become a key stakeholder and player development associate for the youth of Fiji. We will have some big announcements coming soon so watch this space. For now you can buy your package safe in the knowledge that you are playing your part in creating a talent development pathway for Fiji’s rising sporting stars. Provided you are a registered player in New Zealand or Australia you can join us in Fiji. 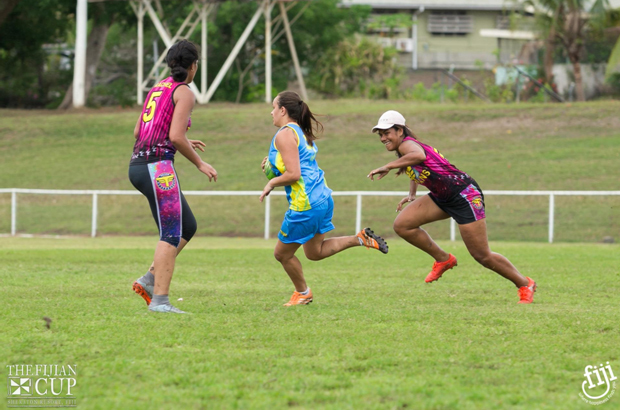 Regardless of your age (as long as you’re 18+) size, gender or experience you and your team can play for your chance to win $50,000 worth of prizes and the pride of being Fijian Touch Cup champions! Our mens, womens and mixed tournament all have the same value of prizes, everyone gets the same amount of matches before the finals and everyone is treated like the sporting hero they really are. We are proud to have equality across out tournament, we think it makes for a far more happy and successful event! We think that the Fijian Touch Cup is the best competition in the Pacific and we intend to keep it that way! Unless the Olympics come, the Olympics are a bit better than us to be fair!